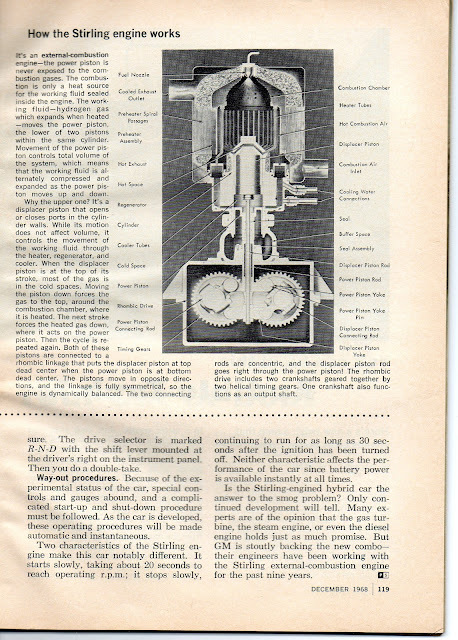 I found a copy of Popular Science from December 1968. 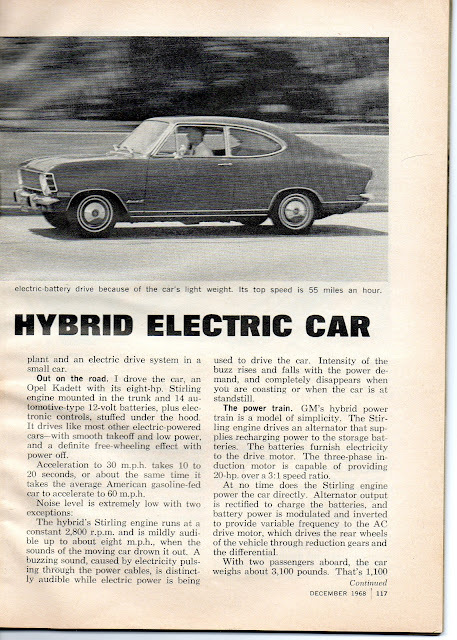 Looks like the Volt concept. 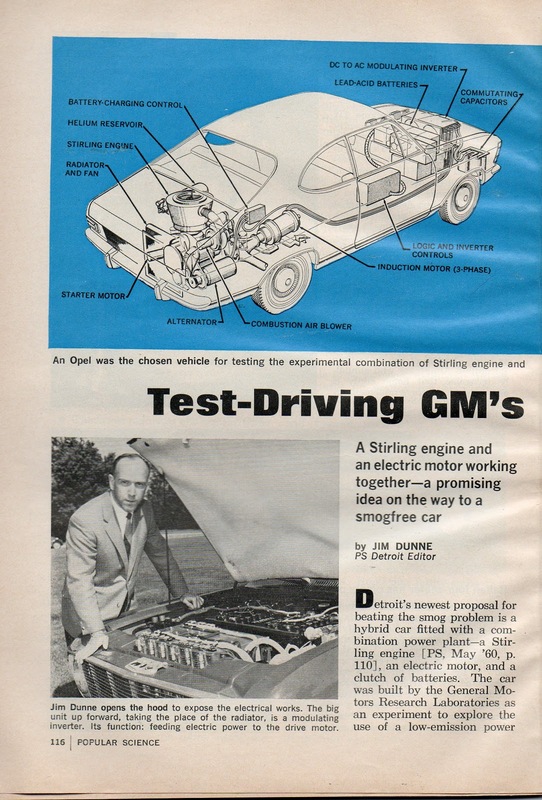 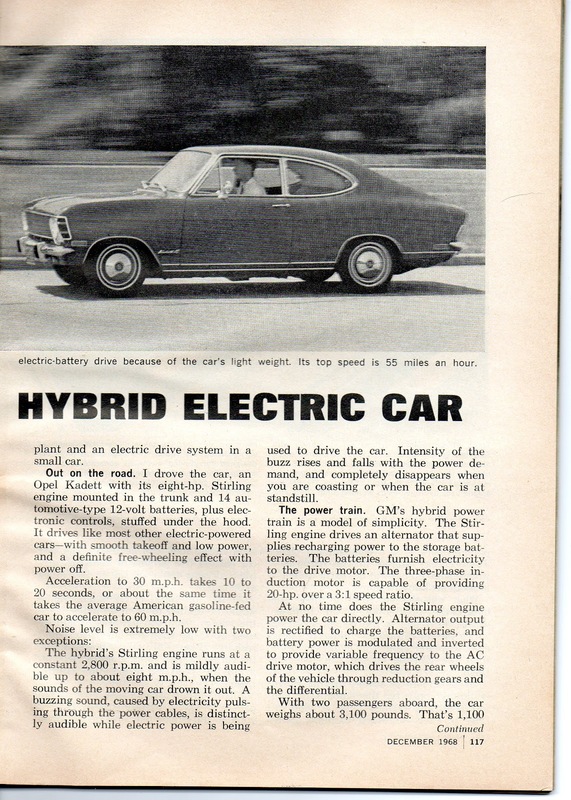 This means GM had developed a far better prototype car very long ago (1968) after this many years they are just making their first hybrid car. 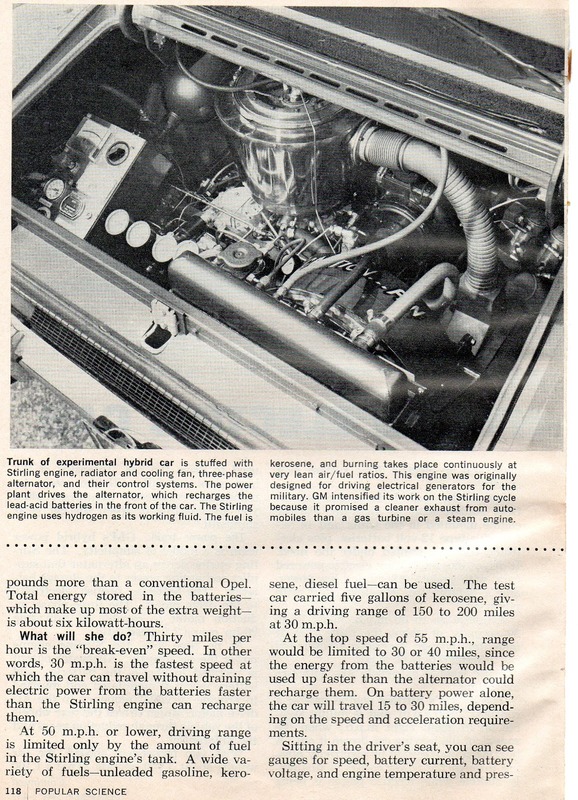 If they are started building those electric less fuel consuming vehicles from 1968, then GM may be now working on the next generation vehicles & we don't have this much gasoline worries.